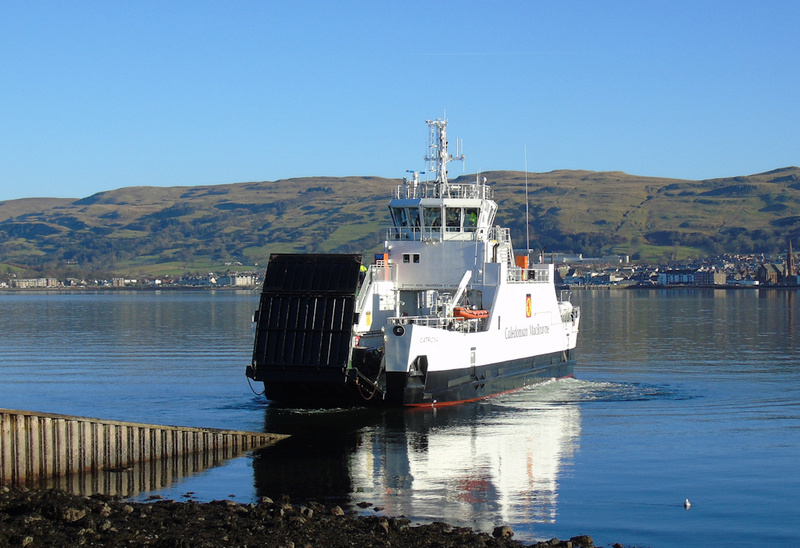 Bute and Argyle pass on service 26 January 2018. Coastworks' Coastrunner kepps the back door 26 January 2018. 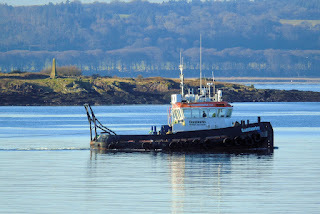 Tug Coastworker towing CW3 26 January 2018. 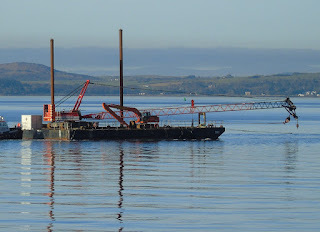 Barge CW3 proceeding upriver with some heavy plant aboard 26 January 2018. 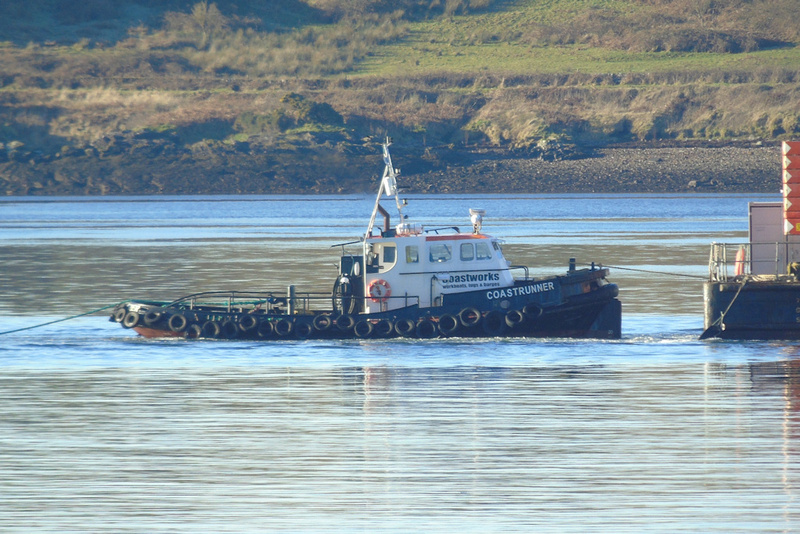 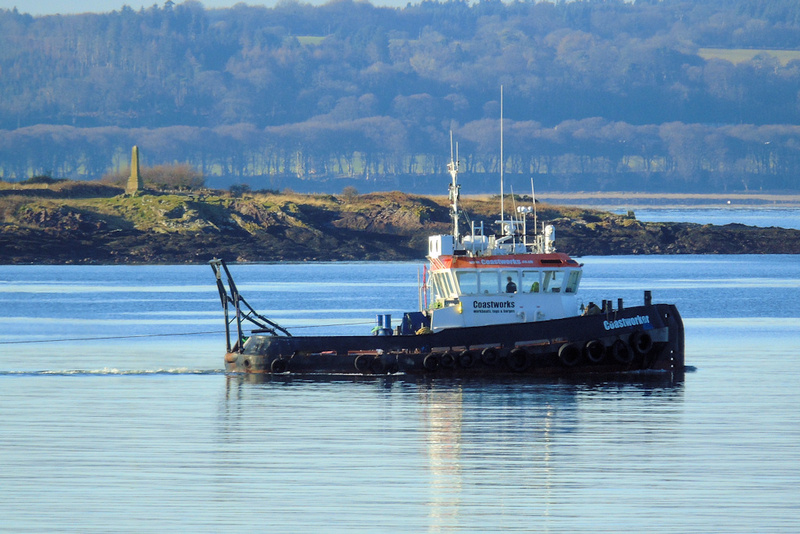 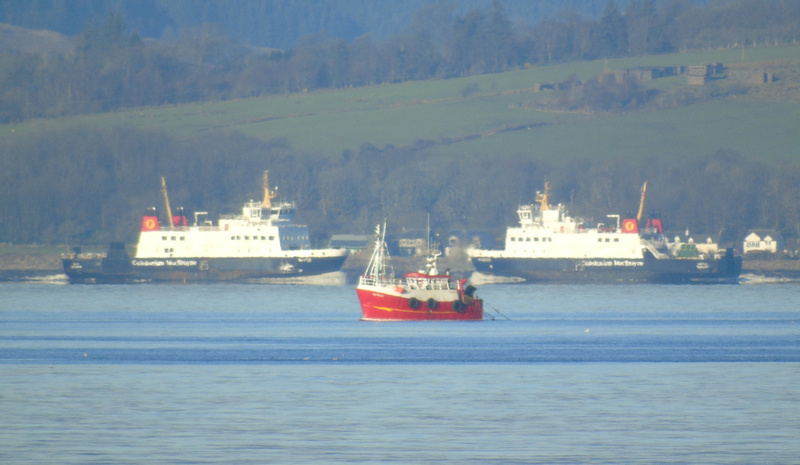 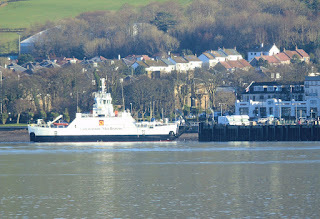 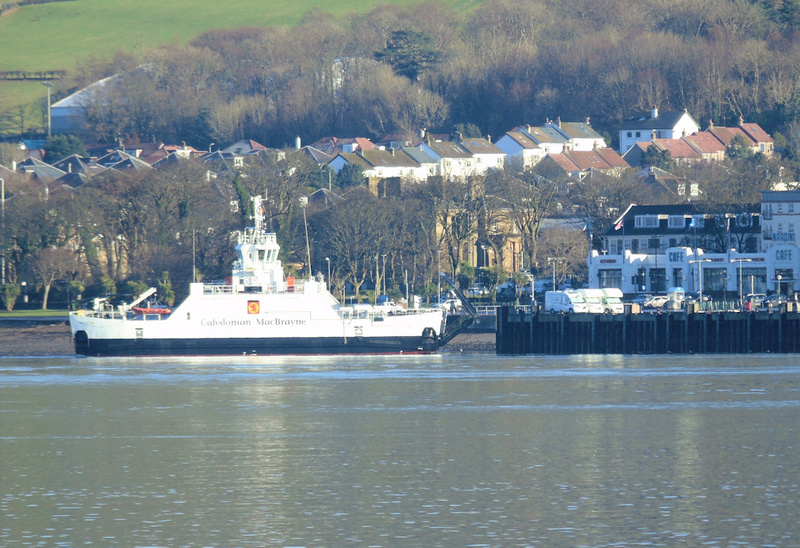 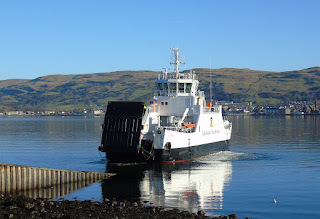 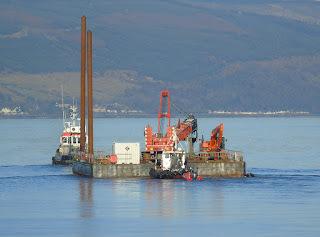 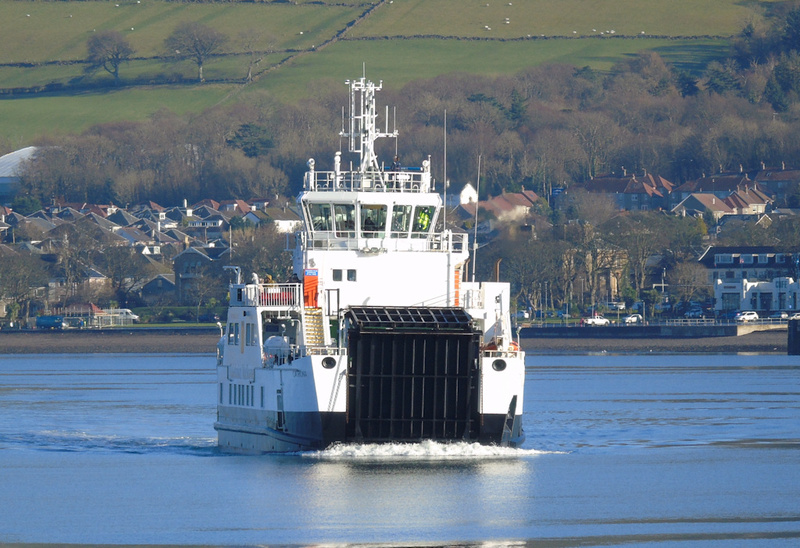 Catriona operates as relief Largs - Cumbrae Slip vessel whilst Loch Shira is in drydock 26 January 2018.